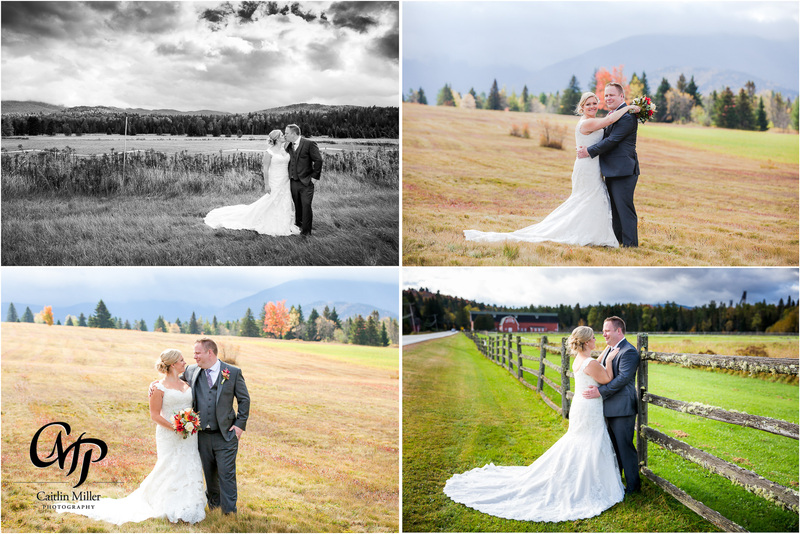 I LOVED this wedding! 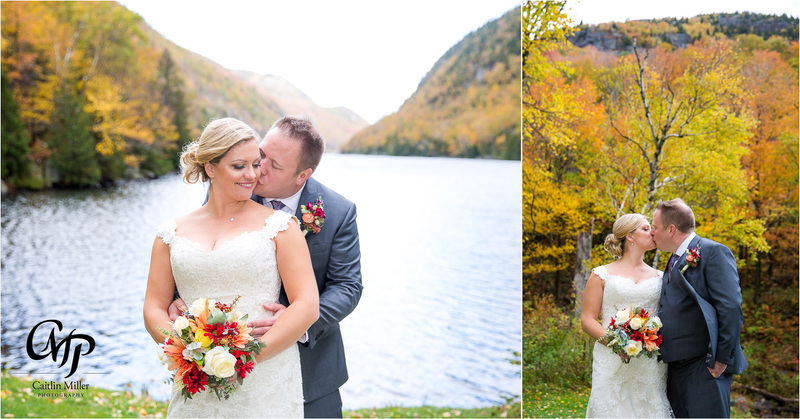 Christine and James initially reacted out to me with an “non-traditional, crazy Adirondack wedding idea” to focus on formals and nature before the ceremony for several hours – and I fell in love with it! 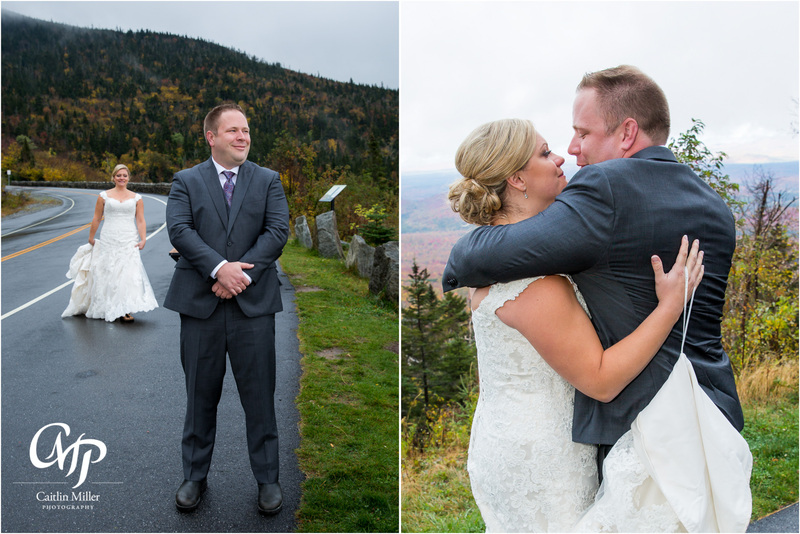 These two started their coverage with me at 9:30am at the top of Whiteface Mountain. 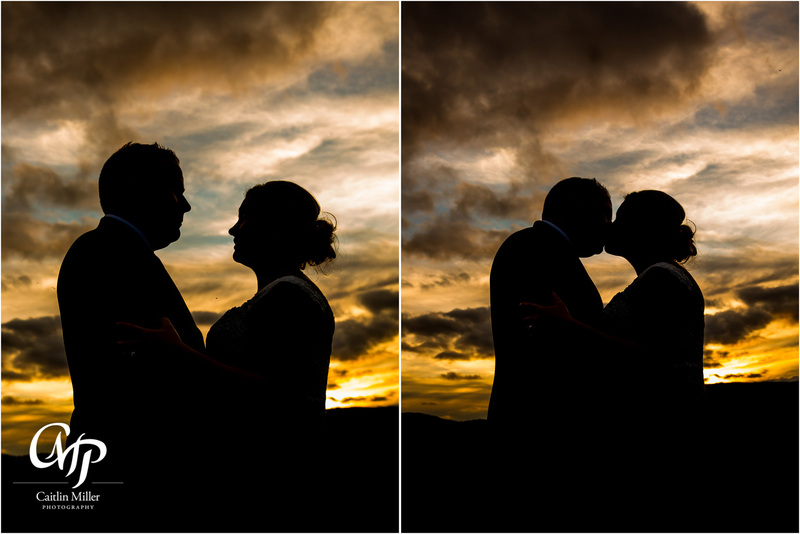 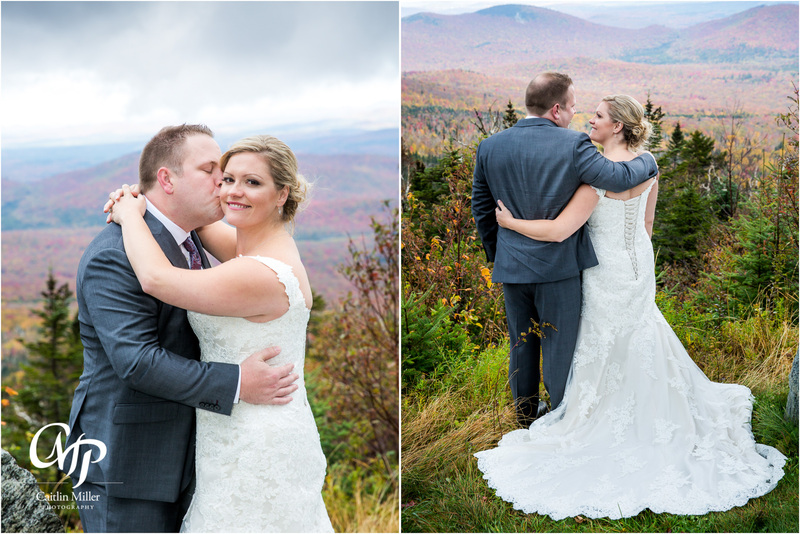 They shared an emotional first look before taking some formals on the mountain. 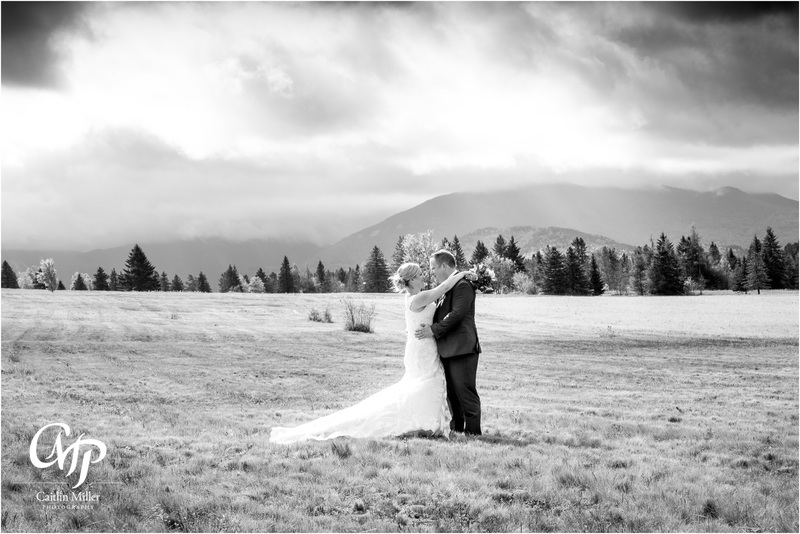 We had originally planned on the top of the mountain, but Whiteface had other plans that day and the peak was like a hurricane with whipping wind and beating rain. 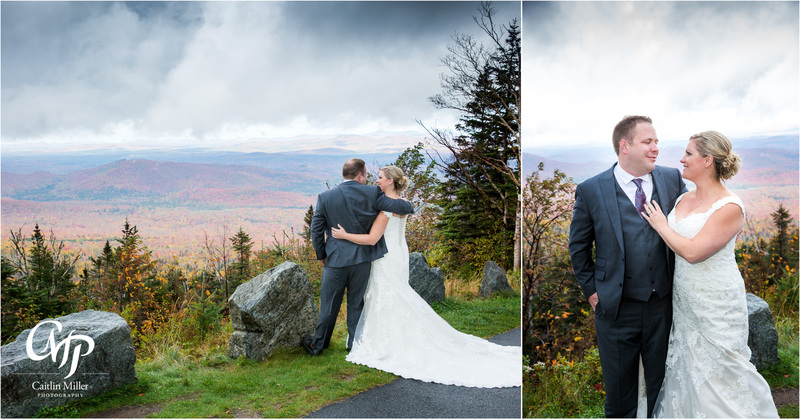 We got lucky half-way down the mountain – and found a view just below the storm clouds. 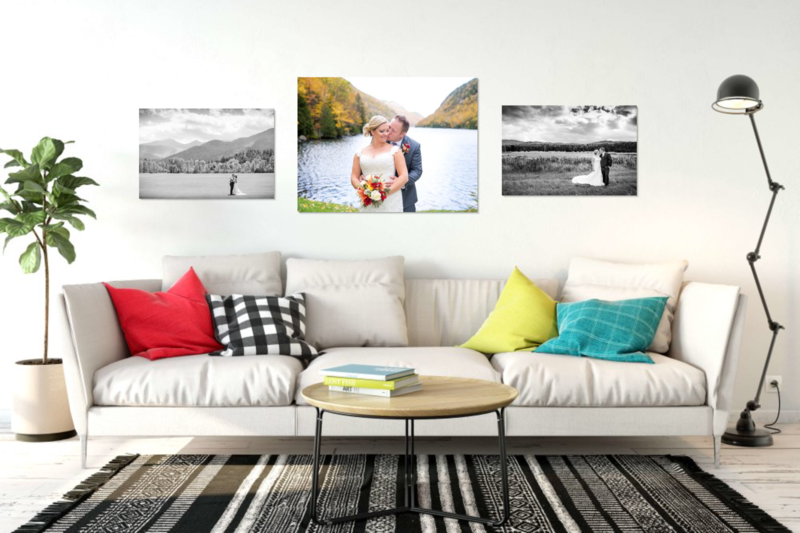 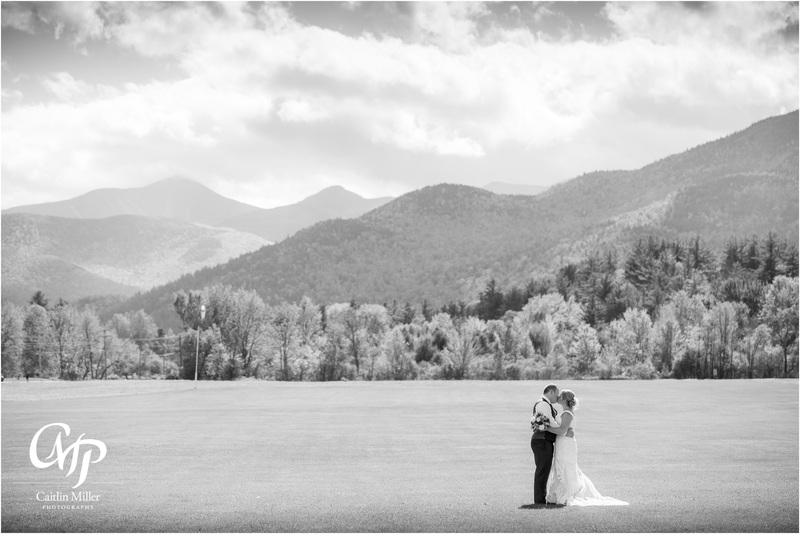 Following the mountain, we spent the next 3 hours traveling to all the best photo locations in the High Peaks region – Marcy field, Cascade Lakes, Lake Placid LOJ road, Hull Falls and more! 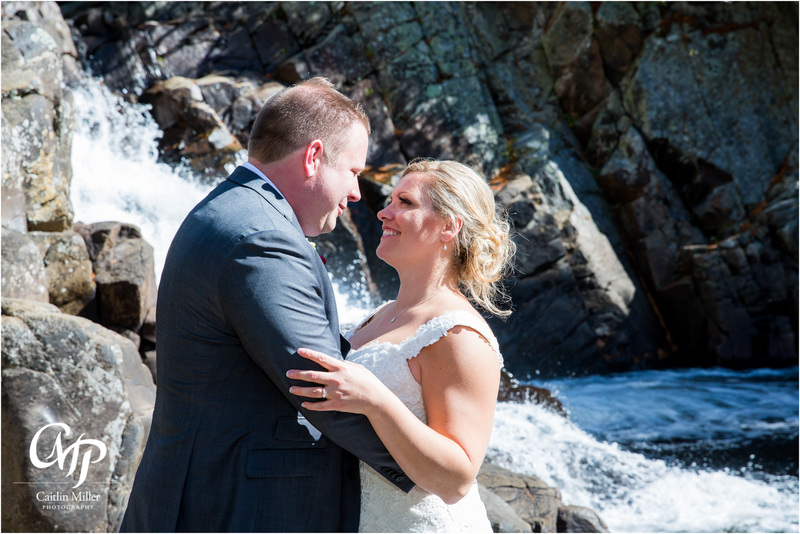 I loved that this couple wanted the adventure and were willing to do anything of the shot – including braving wind and rain and climbing down the waterfall for the shot! 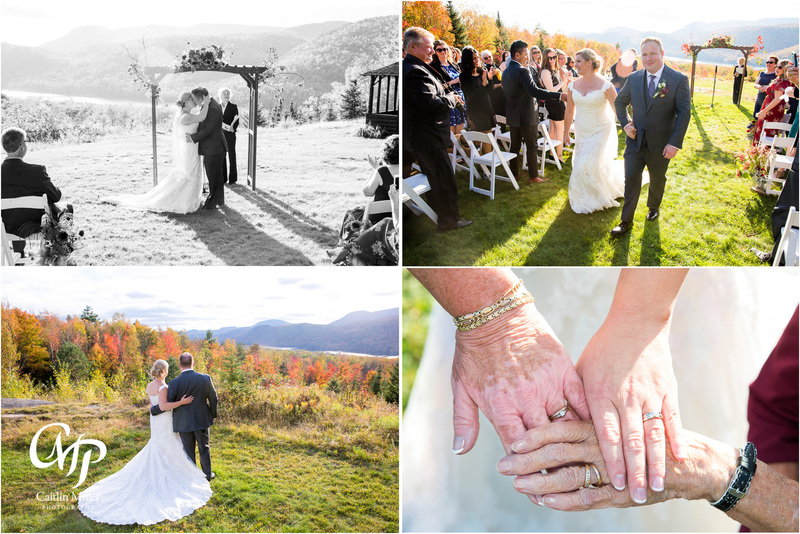 Following our adventure, we headed to Garnet Hill Lodge for the ceremony. 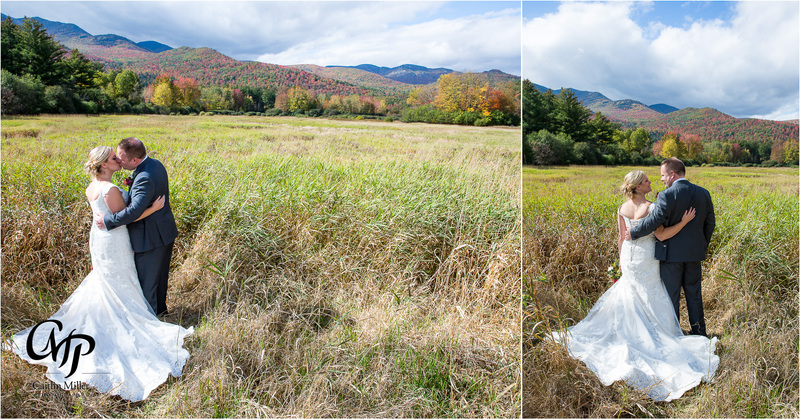 Christine took a break out of her wedding dress, before re-dressing (and taking “getting ready” shots). 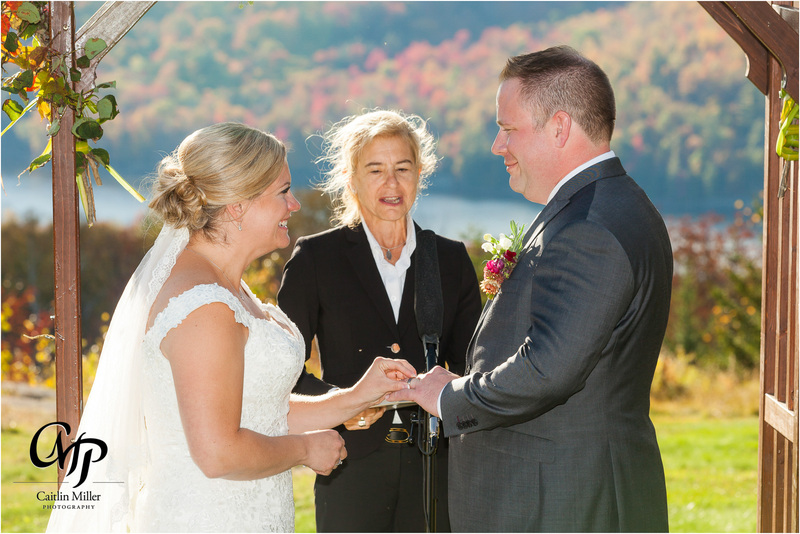 She shared some teary exchanges with her mother, father and mother-in-law when she gifted them an embroidered tie and handkerchiefs. 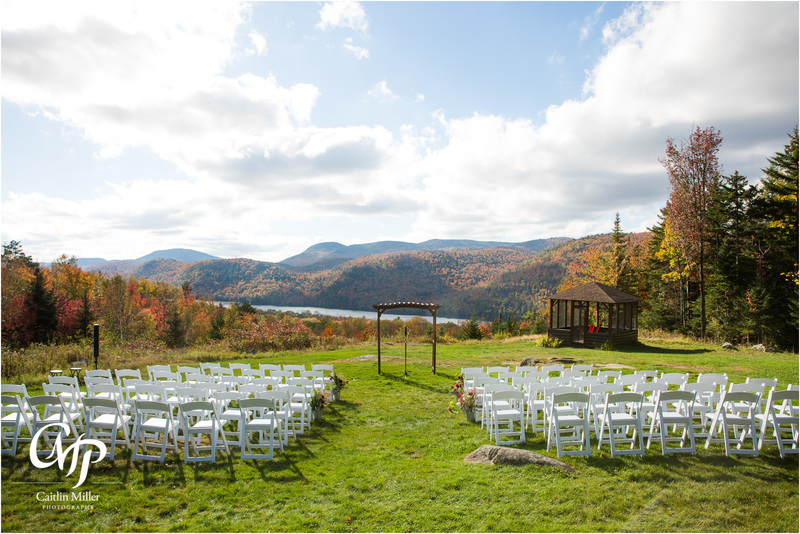 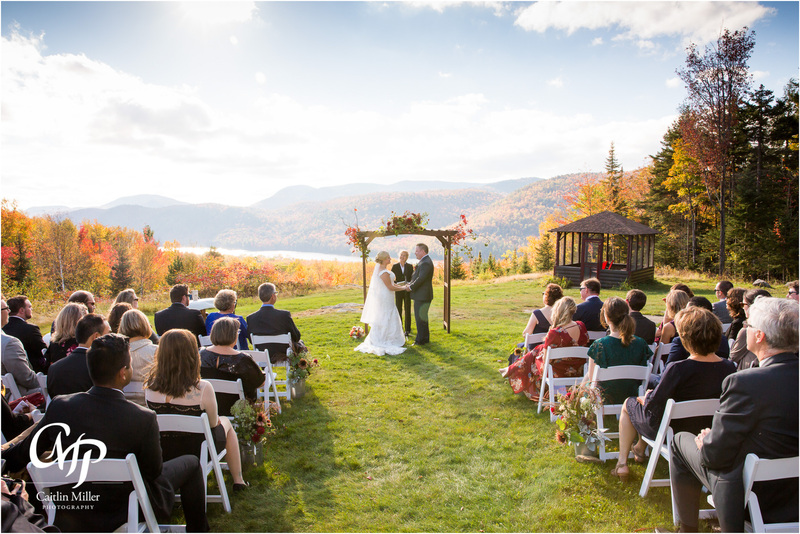 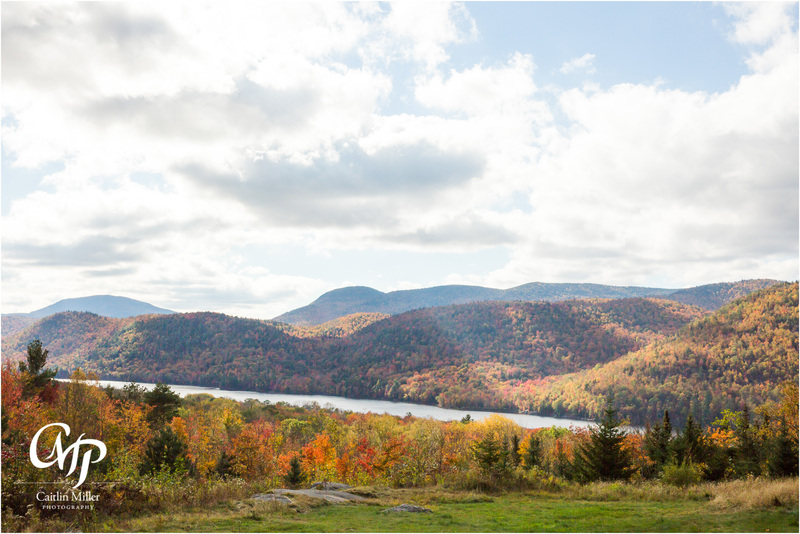 A sweet ceremony followed with a beautiful view of thirteenth lake – perfect for this Adirondack wedding theme. 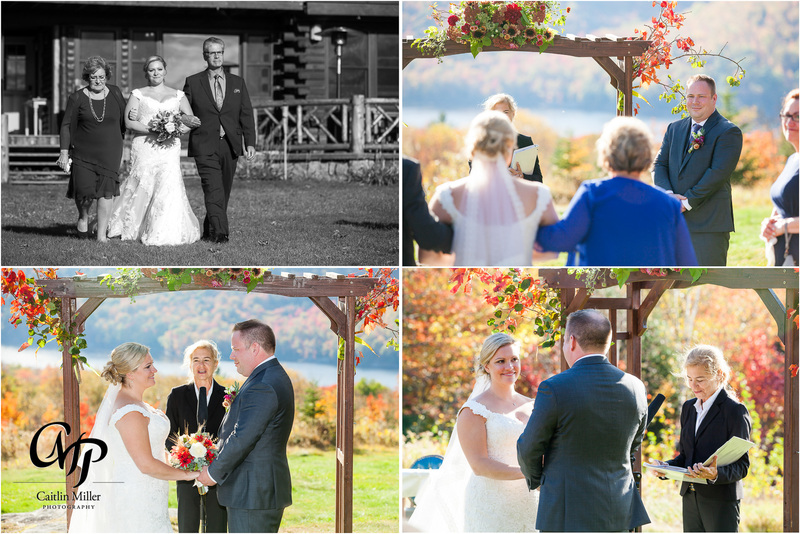 I stayed with the couple through their introductions and was on my way. 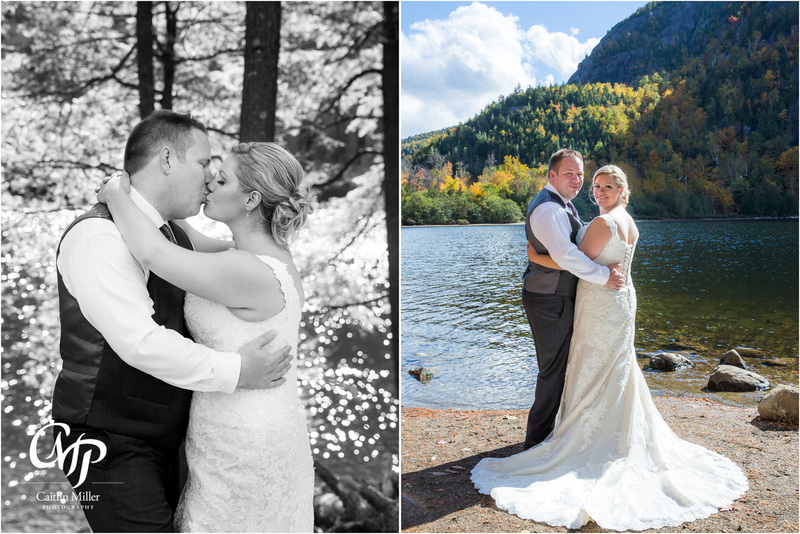 I loved spending so much time on formal photos and traveling to the best spots – many of which I don’t usually travel to due to the time constraints of traditional cocktail hour photos. 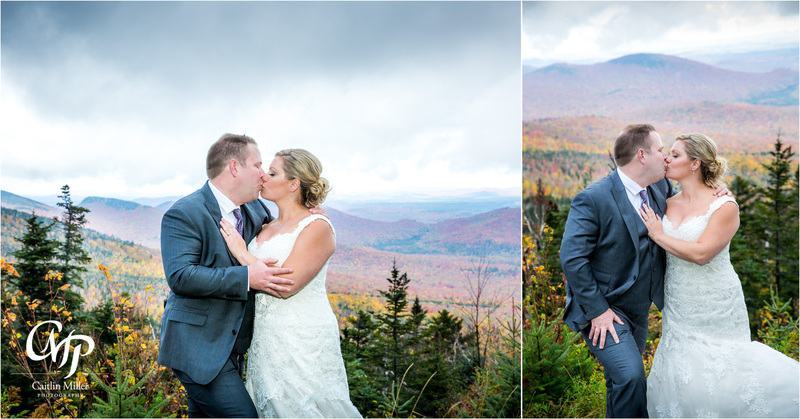 If you’re interested in formal photos in the best spots, consider doing what this fun and adventurous couple did!